At the elite north end of Myrtle Beach where traffic is less congested and even the beach condos have a more suburban feel, Ocean Reef Resort pampers residents with the ultimate in luxury. 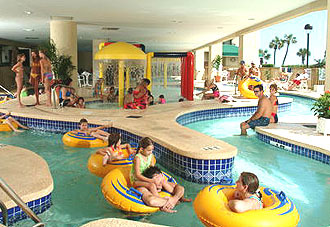 Opened in 2006, the resort made a big splash on the beach from day one, earning “Best of the Beach” in 2007. Ocean Reef offers 52 elegant condo units with 1, 2, or 3-bedroom floor plans in 2 towers. The more expensive North Tower condos are “oceanfront” and the South Tower units are “angled oceanfront” with an ocean view. These condos will make you feel right at home with full kitchens, luxury upgrades, laundry facilities and more. The resort’s tropical landscaping welcomes residents and guests with a peaceful island atmosphere. 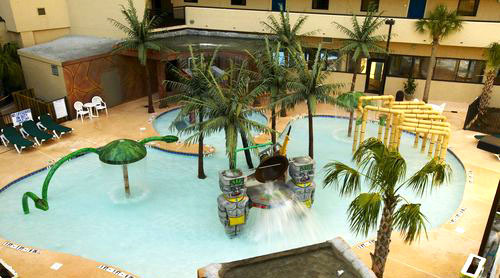 Kids of all ages delight in the waterpark, lazy river, indoor pool, and outdoor pool. There is a fitness facility and party rooms are perfect for large get-togethers with friends and family. Kids will never get bored with the children’s activity programs. 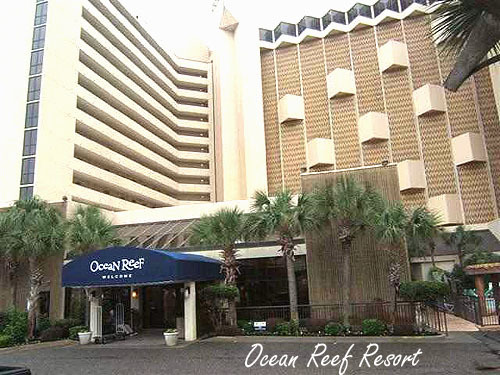 There is a 24-hour front desk to make sure you stay at Ocean Reef is a pleasant one and there is lots of parking both covered and outside. Nearby there are hundreds of dining opportunities on Myrtle Beach’s Restaurant Row and great family entertainment like Dixie Stampede and Carolina Opry. These condos, along Ocean Boulevard’s historic “Golden Mile”, are great investments either as a family vacation home or a rental property. 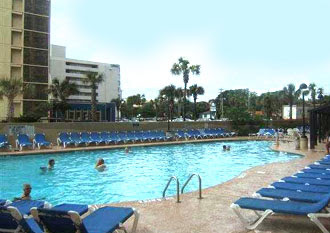 Rentals can be overseen on site or through a condo rental management company like Myrtle Beach Vacations. If you are looking for the vacation home of your dreams, please visit our website and peruse current listings. Call one of our real estate professionals to schedule a private tour of the condos for sale at Ocean Reef Resort. You’ll be glad you did.